Baker's Pride 32-inch outdoor natural gas charbroiler arrives as a complete package. 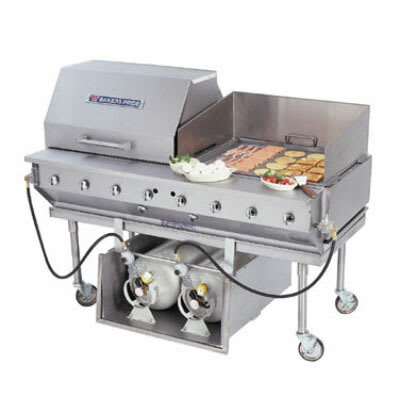 This unit comes equipped with a charbroiler, stand, tank, and caddy. The natural gas Ultimate Series Outdoor Charbroiler serves as a practical choice for establishments that desire practicality.